Windows 10 is a vast operating system with millions of settings in Registry. Every time you install a program or make changes to Windows 10, Windows updates the Registry to reflect the change. Here at IntoWindows, we publish tens of guides every month on customizing, tweaking and optimizing Windows 10 operating system. At times, we ask you to manually edit the Registry to make specific changes to Windows operating system without the help of third-party tools. Each time, before manually editing the Registry, we recommend you create a manual system restore point so that you can revert to original settings by restoring Windows 10 to a previous date with the help of the previously created restore point. But not all users, not all the time, create a restore point before making major changes to Registry. How do I reset the registry in Windows 10? If you have turned off restore point for some reason and still want to backup the Registry, you can manually backup the Registry and restore the same when you need. But what if you have not created a system restore point or Registry backup and now want to reset Registry to default in Windows 10? 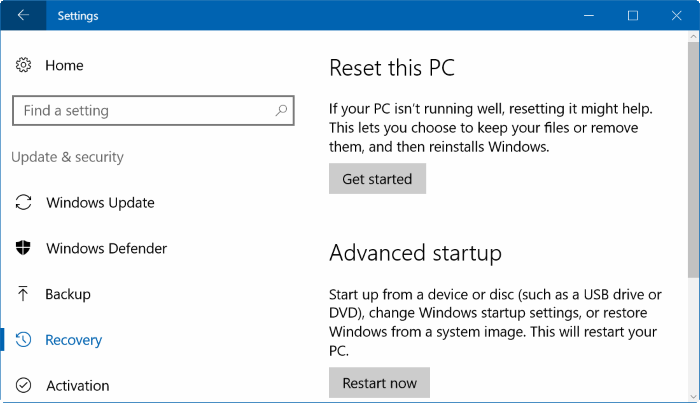 Like earlier versions, Windows 10 also doesn’t offer a way to reset the Registry to default. However, if you have a system restore point with original Registry values, you can use it to reset the Registry to default. Likewise, if you have a backup of Registry created with original settings, you can restore or reset the Registry. If you don’t have a previously created system restore point or backup of Registry, then you have two options to reset Registry to default. 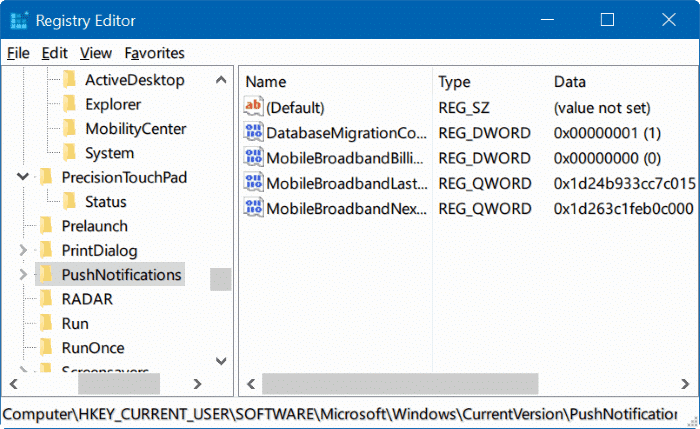 The best way to reset Windows Registry to default is to reset your Windows 10 PC or reset your Windows 10 to factory settings using the built-in Reset PC feature. The Reset PC feature enables you retain the data when you reset the PC. Only third-party apps and programs will be removed during the Reset operation. For those of you wondering, the reset PC operation resets Registry to default, and removes all installed programs. When the Registry is reset to default settings, all Windows 10 settings are automatically set to default. So, in other words, both Resetting registry and resetting Windows 10 PC operations are the same. Other than resetting Windows 10 PC, there is no other concrete way out there to reset Windows 10 Registry to default. So, if for some reason, you want to reset the Registry on your Windows 10 PC, simply perform a Reset PC operation. I’ve been waiting a couple of hours for this to work, spammy updates that I hope are removed once its finished. can’t open any app in windows. So i can’t open settings. It’s the best way I think. Me and also Microsoft don’t suppose to use softwares like CCleaner. If u ualready used, reset your Windows 10.